Our Program Fellows have gone on to pursue their passion for public service through various career paths and experiences. Daniel graduated from George Mason University in 2012 with a bachelor’s degree in political science. During his 1L summer, Daniel worked for the General Counsel at Apex Clean Energy, a wind energy company in Charlottesville. Interests: Government; Environmental/Land Use Law. Before law school, Stephanie did investigative work for the Public Defender Service for the District of Columbia and the Louisiana Capital Assistance Center. During her 1L summer, she worked as a legal intern at the San Francisco Public Defender. During Stephanie’s 2L summer, she worked as a certified intern at the Arapahoe County office of the Colorado State Public Defender. Through that internship, she went to trial in several misdemeanor cases and handled a separate court docket caseload. While at UVA Law, Stephanie conducted research on forensic science and volunteered for several public defense-related pro bono projects including the No Exceptions Prison Collective, the Virginia Innocence Project and the Bronx Defender Alternative Spring Break. Stephanie was also the Director for the National Lawyers Guild. Interests: Public Defense. Dan was a Hardy Cross Dillard Scholar at the University of Virginia School of Law. Through regulatory and litigation practice, he plans to work with public and private sector entities to promote the creation of sound consumer finance policies, and efficient compliance. He has worked with the Legal Aid Justice Center, Catholic Charities, the Office of the Attorney General, K&L Gates, and the Senate Banking Committee on housing, consumer finance, and consumer protection issues. Interests: Consumer Finance; Homelessness and Housing; Poverty and Economic Development. Lizzie, originally from the United Kingdom and who grew up in Massachusetts, graduated from Haverford College and worked at a middle school in Boston prior to law school. During her 1L summer, Lizzie worked in the Fraud Section, Criminal Division at the Department of Justice. Lizzie participated in the law school’s Prosecution Clinic. She is currently clerking on the Sixth Circuit. Interests: Government; Criminal Law. Jasmine graduated from the University of Florida in 2014 with degrees in Psychology and Criminology and a minor in Women’s Studies. She has worked for both Southern Legal Counsel in Gainesville, FL and Legal Aid Justice Center in Charlottesville, VA to help provide, and expand access to, civil legal services. Interests: Civil Legal Services. Ryan, a native of Union, Mississippi, graduated from the University of Mississippi in 2013, majoring in International Studies and Spanish. Before law school, Ryan taught in the Dominican Republic as a Fulbright scholar. Interests: Criminal Prosecution; Immigration; Public International and National Security Law. Teresa graduated from the University of Maryland, College Park in 2011 with a degree in Classics and from the University of Chicago with a Master’s in Humanities. Before law school, Teresa worked for a plaintiff-side firm as a paralegal working on holding companies accountable for defective medical implants. 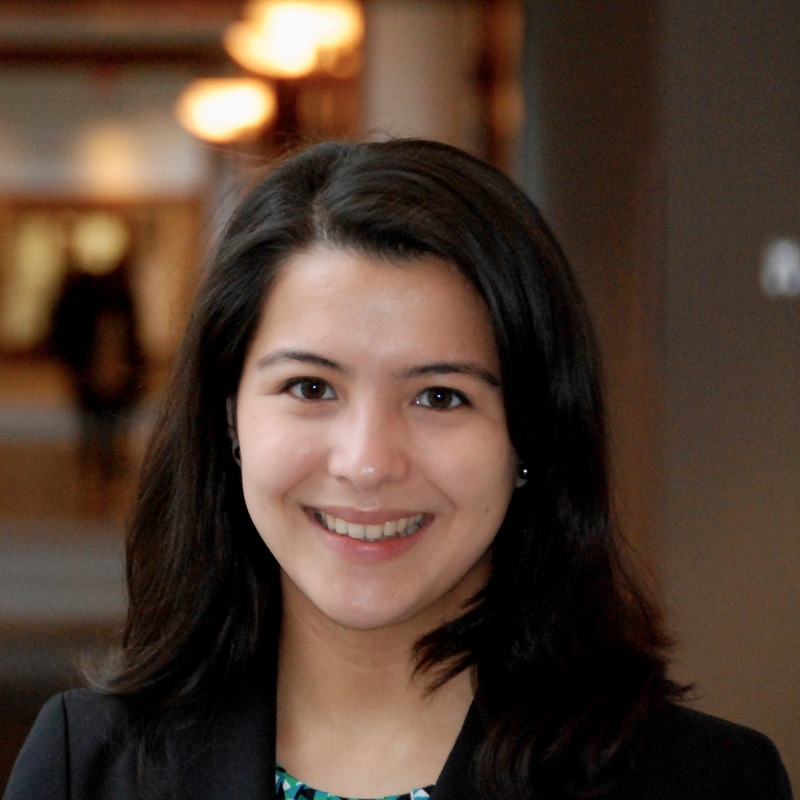 During her 1L summer, Teresa interned for the Alexandria Public Defender’s Office. For her 2L summer, she interned at the Mecklenburg County Public Defenders in Charlotte, NC, litigating misdemeanor cases. She has completed pro bono work at the Law School through the Virginia Capital Representation Resource Center, the Federal Public Defender in Charlottesville, and the No Exceptions Prison Collective, and completed an Alternative Spring Break trip at the Orleans Public Defenders. She was also the president of the Public Interest Law Association during her time in law school. Interests: Public Defense; Civil Rights and Liberties; Criminal Justice Reform. Casey Trombley-Shapiro Jonas grew up in Edina, Minnesota, and attended the University of California Berkeley, where she majored in Asian History, with a French Minor. After graduating, she moved to Washington, DC, where she canvassed for CARE USA before interning in the office of Senator Al Franken (D-MN). She was hired as a Staff Assistant in the office of Senator Barbara Boxer (D-CA) and was promoted to the foreign relations, defense, and veterans legislative staff. She focused primarily on international women’s issues and helped organize the Senate Foreign Relations hearing on Women and the Arab Spring. In 2012, Casey moved back to Berkeley to pursue an art career (she draws with ink on various surfaces) and finally achieved her dream of working at a cafe. Wanting to work on social issues again, she applied to law school with the hopes of working on women’s rights. Casey is currently clerking for the Honorable Paul J. Watford on the Ninth Circuit in Pasadena, California. She will then clerk for the Honorable Ketanji Brown Jackson on the District Court in Washington, DC. Her favorite part of law school was having her baby after 2L exams. Interests: Women’s Rights; Employment Discrimination; Civil Rights; Government; Public Policy. Claire grew up in South Pasadena, California and majored in International Development Studies at UC Berkeley. She then went on to work for four years in various non-profit and community organizing positions. She dabbled as a union organizer, a reproductive health educator in South America, a paralegal at an immigration law firm specializing in asylum and deportation defense, and a research assistant at the International Budget Partnership in Washington, D.C. Interests: Civil Rights Litigation; Impact Litigation; Government; Criminal Law; Public Policy. Tex Pasley was raised in San Antonio, Texas. He graduated in 2011 from St. John’s College in Annapolis, Maryland, known for its all-required Great Books curriculum. He chose to attend law school to understand the source of structural poverty in the United States, and wants to use his bar license to advocate for systemic change on behalf of the poor. Before law school, Tex worked as a brewer at SanTan Brewing Company in Chandler, Arizona, and volunteered with the Arizona Justice Project. At UVA, he has worked extensively with the Legal Aid Justice Center as part of the Health, Housing, and Employment clinics, and as an extern with the Drive Down the Debt campaign. During the summers, he interned at Colorado Legal Services in Denver as a 1L, and the Sargent Shriver National Center on Poverty Law in Chicago as a 2L. Tex is currently working in Knoxville, Tennessee with the No Exceptions Prison Collective, litigating class-action lawsuits on behalf of prisoners, and advocating for criminal justice reform in the Tennessee legislature. He will then be clerking for the Honorable Pamela Reeves of the U.S. District Court for the Eastern District of Tennessee. Interests: Poverty Law; Legal Aid; Prison Reform. Ryan, who is originally from the Chicago suburb, served in the Marine Corps and taught high school in Detroit prior to law school. During his time at UVA, he played bass for the law school cover band, Jefferson Clerkship. Ryan is currently working at the law firm Winston & Strawn in Chicago. Interests: Government; Legal Aid. Julia Schast grew up outside of Philadelphia and attended Elon University for undergrad. She is currently clerking for Judge Robert A. Salerno in the D.C. Superior Court and intends to work as a prosecutor at the District Attorney’s Office in Manhattan. Interests: Criminal Prosecution; Criminal Justice Reform; Women’s Rights and Gender Equality Issues. Rachel is currently clerking for Judge Pamela Reeves of the U.S. District Court for the Eastern District of Tennessee. She is from Lexington, Kentucky, and holds a B.A. in Theater Arts from Carleton College and an M.A. in Appalachian Studies from Appalachian State University. She spent her 1L summer working at Earthjustice in Philadelphia and her 2L summer at the Chicago Lawyers’ Committee for Civil Rights Under Law. Rachel has previously worked as a professional stage actress and singer, darkroom photographer, bartender, and freelance journalist. Interests: Civil Rights; Poverty Law; Prisoners’ Rights; Environmental Justice. Amber is an assistant district attorney with the Manhattan District Attorney’s Office. Before coming to law school, she worked in India for the International Justice Mission, fighting to end bonded labor. She spent her first summer interning in Washington DC with the Department of Justice Civil Rights Criminal Section and her second summer interning with the ACLU Racial Justice Program in New York City. Interests: Prosecution; Criminal Justice Reform; Civil Rights; Racial Justice. Joshua is currently clerking for the Honorable Norman Moon on the United States District Court for Western District of Virginia and will clerk with the Honorable Jerome Holmes on the United States Court of Appeals for the Tenth Circuit the following year. He is from Winchester, Virginia, and is a “double Hoo” having attended UVA for undergrad and for law school. During his 1L summer Josh worked at the Department of Justice, in both the Federal Programs Branch of the Civil Division and the Antitrust Division. During his 2L summer Josh worked at Gibson, Dunn & Crutcher on a wide range of trial and appellate matters. Josh has done pro-bono work with the Legal Aid Justice Center and the Western and Eastern Districts of Virginia’s Federal Public Defender. He also was a member of the law school’s Supreme Court Litigation Clinic. Interests: Criminal Procedure; Public Defense; Poverty Law; Civil Rights. James, a First Lieutenant in the U.S. Army, Commissioned into the Army after spending four years at UC Davis as a Cadet. He is currently serving as Judge Advocate. James spent his 1L summer interning at the Small Business Administration’s Office of General Council, Procurement division, and his 2L summer interning at Fort Belvoir, in the USALSA Contract and Fiscal Litigation Division. Interests: Defense; Government.